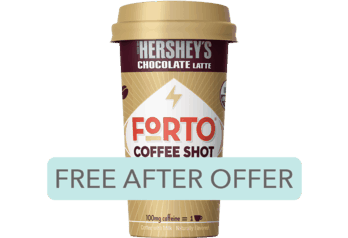 $1.98 for FORTO® Coffee Shots (expiring on Saturday, 11/02/2019). Offer available at Walmart. $1.50 for FINISH® Quantum® (expiring on Saturday, 11/02/2019). Offer available at Walmart. $1.00 for I Can't Believe It's Not Butter!® (expiring on Tuesday, 08/13/2019). Offer available at Walmart. $1.75 for Soylent Single Bottle (expiring on Saturday, 11/02/2019). Offer available at multiple stores. $0.50 for Kandoo Flushable Wipes (expiring on Monday, 09/02/2019). Offer available at multiple stores. $1.50 for Special K® Protein Shakes (expiring on Saturday, 11/02/2019). Offer available at multiple stores. $1.00 for Benadryl® (expiring on Friday, 05/10/2019). Offer available at Walmart. $5.00 for Schick® Quattro for Women® Razors or Razor Refills (expiring on Monday, 09/30/2019). Offer available at Walmart. $2.00 for Air Wick® Freshmatic® Refills (expiring on Saturday, 11/02/2019). Offer available at Walmart. $0.50 for Cocoa Puffs™ or Cookie Crisp™ Cereal (expiring on Tuesday, 05/07/2019). Offer available at multiple stores. $2.50 for Lexol® All Leather Conditioner (expiring on Saturday, 11/02/2019). Offer available at Walmart. $1.00 for Nescafé® Coffee Protein Smoothie (expiring on Saturday, 11/02/2019). Offer available at Walmart, GIANT (PA,WV,MD,VA). $1.00 for LISTERINE® SMART RINSE® Kids Mouthwash (expiring on Sunday, 05/12/2019). Offer available at Walmart. $1.00 for Colgate® Enamel Health™ Toothpaste (expiring on Saturday, 11/02/2019). Offer available at multiple stores. 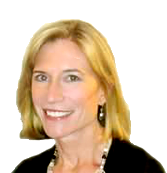 $3.00 for Clear Eyes Pure Relief® for Dry Eyes (expiring on Wednesday, 10/02/2019). Offer available at multiple stores. $4.00 for PetArmor® Plus for Cats (expiring on Saturday, 11/02/2019). Offer available at Walmart.